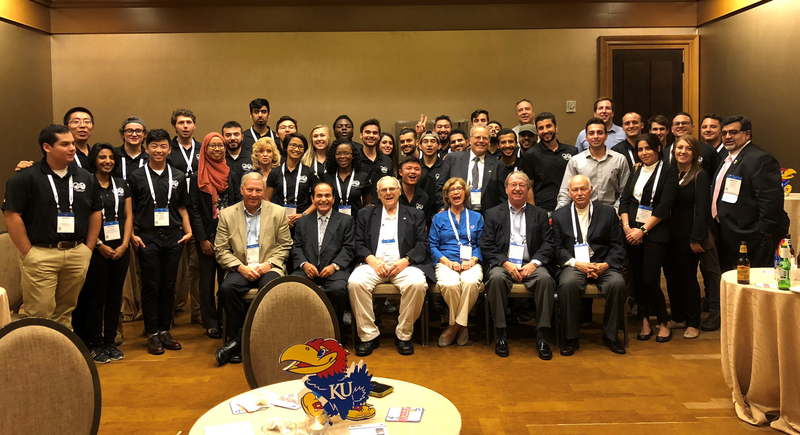 On Monday, September 24th we held our Annual Alumni Reception at the Society of Petroleum Engineers (SPE)'s ATCE Conference. 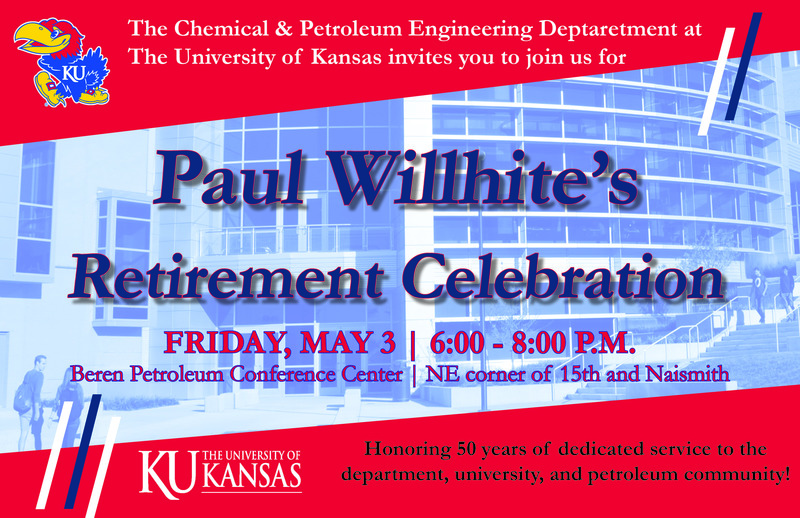 We were very excited to connect with both our future and past KU Alumni. The SPE student group had a wonderful group attending the conference. Our great thanks goes out to Professor Shapour Vossoughi for all his hard work in arranging the event and the Omni Hotel in Dallas for the excellent job they did with the catering. We also want to thank everybody who stopped by to say hello and Rock Chalk. Next year the ATCE conference will be in Calgary, Alberta, Canada, and we hope to see you there!